Instructions: to see a larger photo of this project, click here. Cover your dome using paper from the Winter's Eve Collection. Once complete, you will fussy cut the main sentiment from the Heartfelt Love Collection and cover with a frame. Adhere to the wall of your dome. Diecut the sweetheart die from mirror cardstock and adhere to the wall with dries clear adhesive. For the fence you will first cover with gesso. Once completely dry, sponge on the distress ink in peeled paint and walnut stain to give it a distressed look. The owl will be fussy cut from the Sugar Hollow collection and will be glued to the fence. To create the flowers take the Classic Rose stamp and using Berrylicious ink, stamp 5 sets from the large and medium stamp set. Now diecut all of the stamped images with the coordinating die. 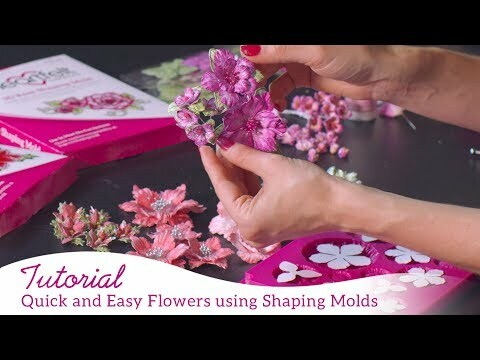 Using your mold apply a light mist of water and add the various flowers then run through the die cutting machine to give you a perfectly molded flower. You can add some additional molding using your hand and shape as desired. Glue each of the roses using 3 diecuts. For the center you will form a bud by simply embossing to cup the flower with the deluxe flower shaping kit and then apply glue to hold it together. 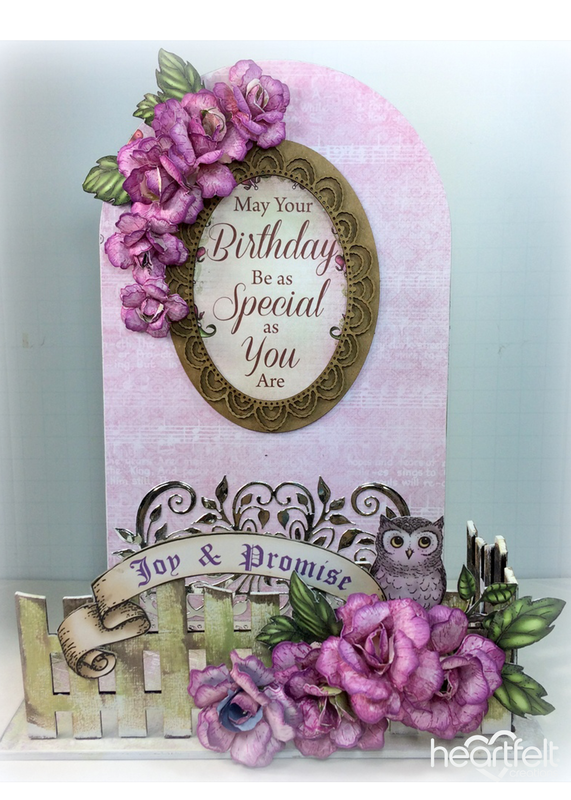 When done, fussy cut the leaves from the Under the Sea collection and add your flowers as desired to complete your sentiment stand.